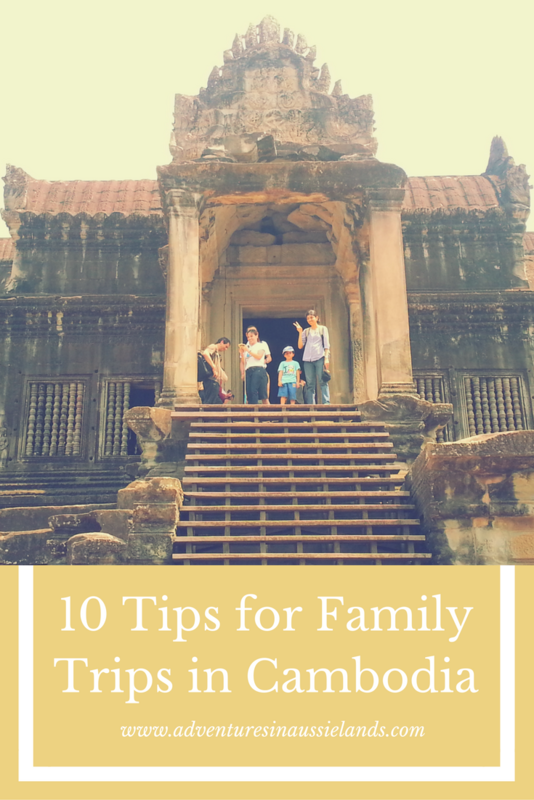 Family Trip To Cambodia – Here Are Some Tips! 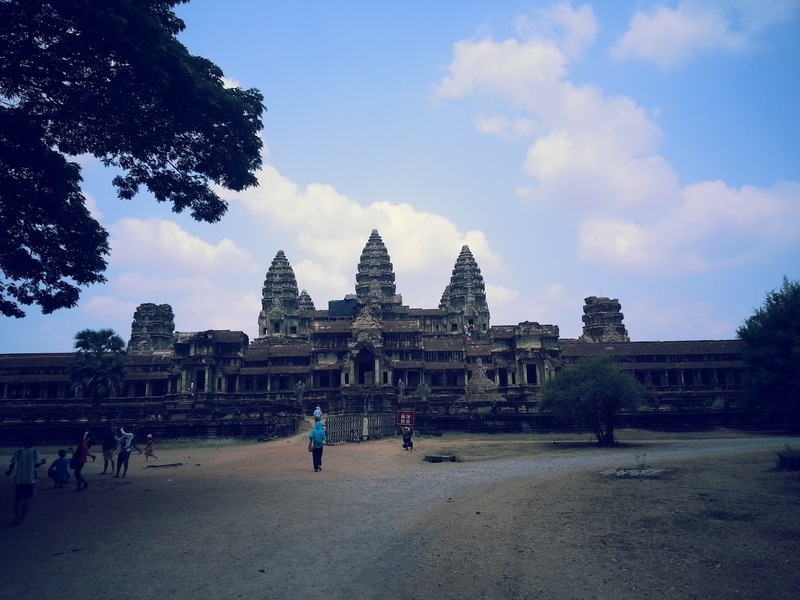 Cambodia, the name is synonymous with Angkor Wat, mystery, and adventure. Yes, after Lara Croft movie was shot (even though a small portion appeared); it created a lot of interest among people. I was intrigued for sure! 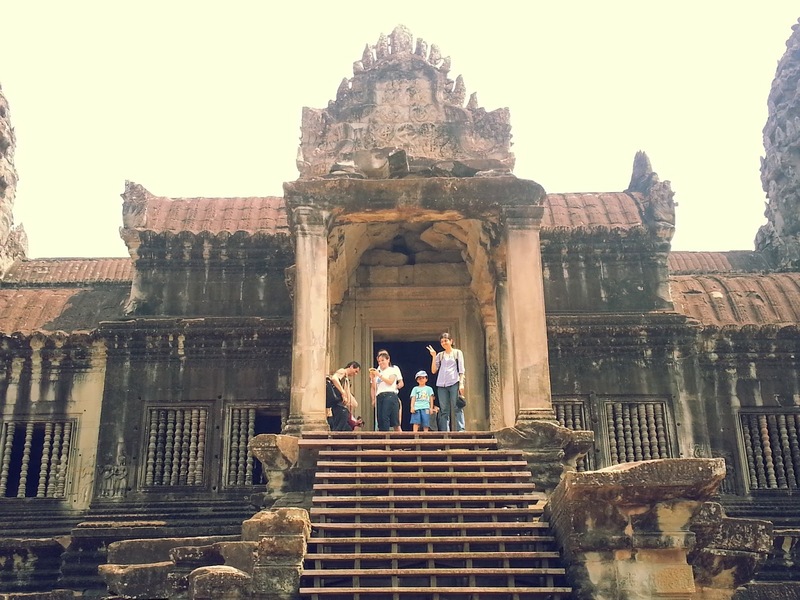 Siem Reap is an ideal location for backpackers, solo travellers as well as those who travel as a family. You wonder if the place is safe to take your kids? Absolutely, we took our then almost 4-year-old (now she is 5.5 yrs old) to Siem Reap, and she loved it. But as we all know, children change many things, including how we travel. Destinations are now chosen keeping our little girl’s requirements in mind. 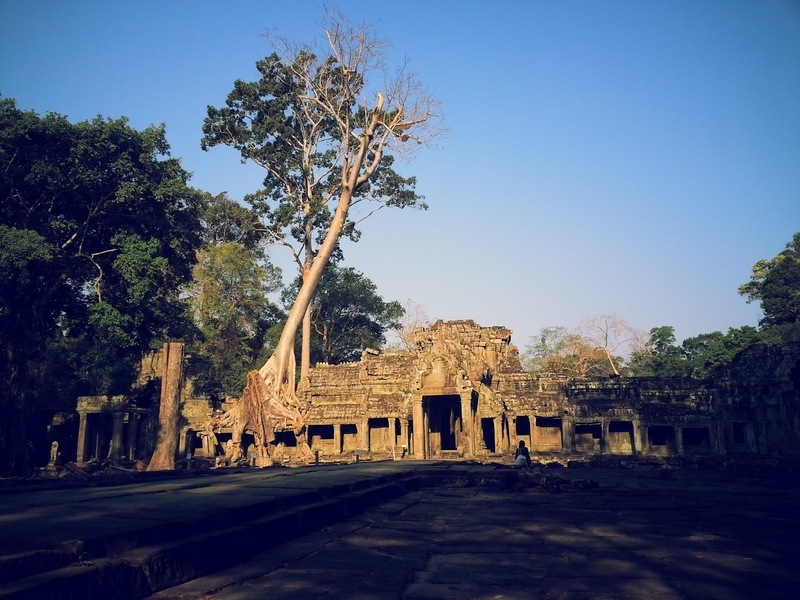 If it is your first time in Siem Reap, this post might be of help. History: We usually try to create a picture of the place we will be visiting, for our little girl- just to make her want to visit the place, building the momentum for the trip. Sometimes when it comes to older kids, they might probably read up about the country/place. 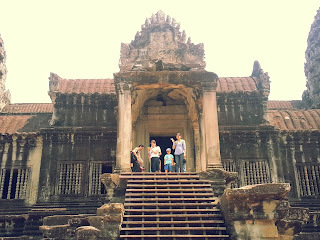 Cambodia does not usually rank high on the list of family travel destinations mainly because of its brutal history. Most of the history of the country does not make sense to us adults, and hence it might be a tough task when it comes to explaining in detail to kids. So we told her about the temples and since it is connected to Hinduism, we being Hindus it was a lot easier for her to get ready for the trip. Weather: Cambodia’s wet season runs from May until October, and the wettest period is from July to September – rains every day and sometimes very heavy. The dry season is from October until April when it can get very dry, hot and dusty. We visited in April, and it was peak summer. Apparently, the best time to visit is Dec to February so choose your timing accordingly. Cons – it’s too hot, 40 deg Celsius, dusty and you need to ensure you keep everyone including yourself hydrated. Kids can get grumpy in the hot weather. 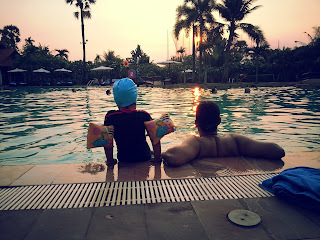 We stayed at Angkor Palace Resort and Spa, and it is perfect for kids and adults alike – they have a lovely pool, and on a hot summer evening, after all, that temple hunting and dust, the pool looks all the more inviting just to cool off. Activities for children: Although we were only exploring the temples, we also found out that there were other interesting activities that you could involve your kids in – such as ceramics classes, cooking classes, elephant rides. Do take them on the tuk-tuk; kids certainly love it. Say Yes to a tour guide; you definitely will need one. No book will tell you what he has to tell. Tip- When we drove up the Phnom Kulen Mountain, my daughter got nauseous and threw up, so keep medicines or paper bags handy. We went just after Sankranta, their new year, in April. The hotel staff and our tour guide were very friendly and helpful. The trip was excellent and a kind of birthday present for my daughter and I as our birthdays fall around the same time. It was a trip of a lifetime; we would love to go there again. We brought back lots of lovely memories, had some great food, made good friends (my daughter got friendly with one of our tour group members, a young land from Japan; she recollects him even today after 1.5 years of our visit. As for me, Cambodia was the reason for me to start my travel blog, the architecture of the temples, the craftsmanship is stunning, and you can keep looking at those works of art for hours together. 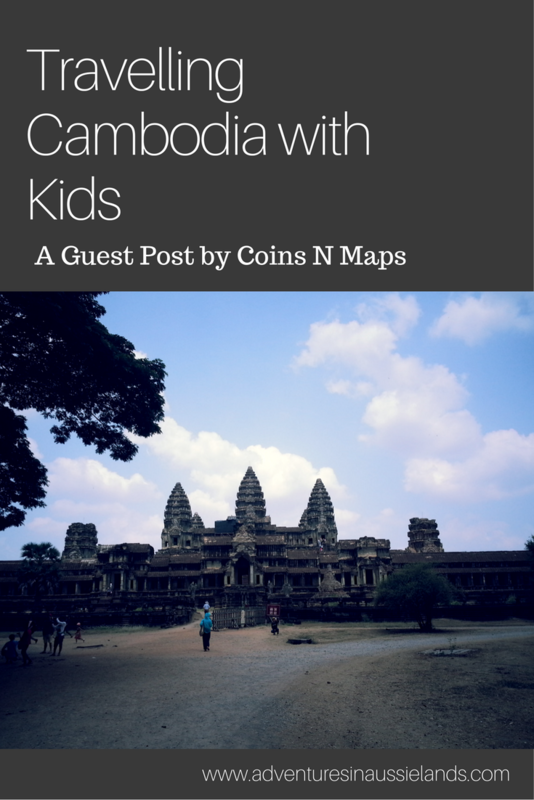 Do visit Cambodia; take your children with you. You could be planting the seeds of travel in your little one.